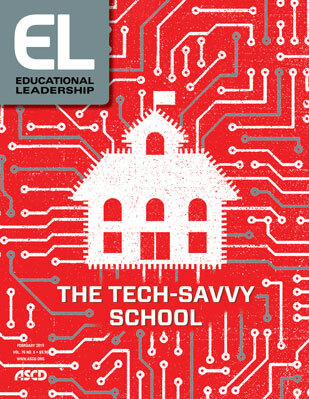 Ed-tech training needs to go beyond specific tools and instead enable teachers with an adaptable, creative mindset. Every few months, a new ed-tech tool or device obviates its predecessor—giving teachers and school leaders little or no time to become familiar with the new technology or analyze its implications for teaching and learning (Schmidt-Crawford, Lindstrom & Thompson, 2018). To keep pace with all the change, teachers and school leaders are often immersed in a barrage of professional development intended to help them alter their best practices to adopt new tools and systems (Webster-Wright, 2009). Yet professional development that focuses on tool-centered approaches is often insufficient to meet teachers' needs in contemporary classrooms (Bakir, 2015). For starters, this type of training will never be able to adequately cover most new tools on the scene. Further, this type of training does not teach technology skills in an applied-learning manner, embedded in teaching projects or relevant contexts. It also may be inefficient, in terms of cost, if teachers or schools invest time, energy, or resources on learning tools that may change or become obsolete quickly.